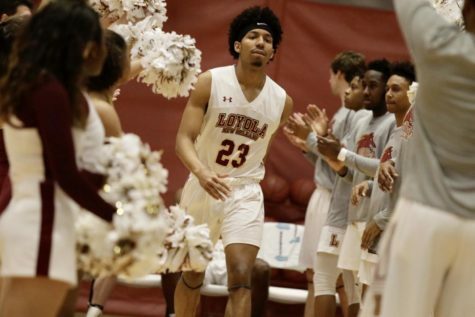 In one of the most sucessful seasons in Loyola history, the men’s basketball team ended their tournament play losing to the top seed and defending Southern States Athletic Conference champion, William Carey College, 71-86. 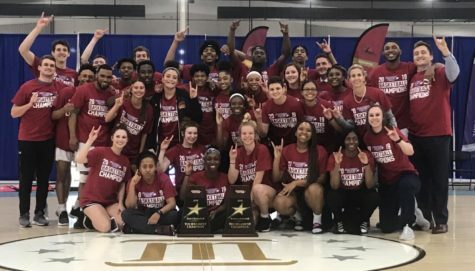 After coming off of a seven game win streak in the regular season, Stacy Hollowell, head coach, and the Wolf Pack looked to keep up the momentum in the tournament in their first match up versus Faulkner. 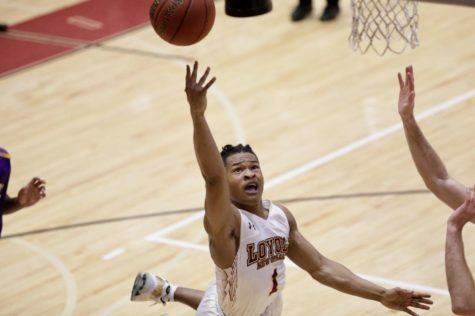 “We went into the tournament with a lot of confidence and we were doing things well,” Hollowell said. 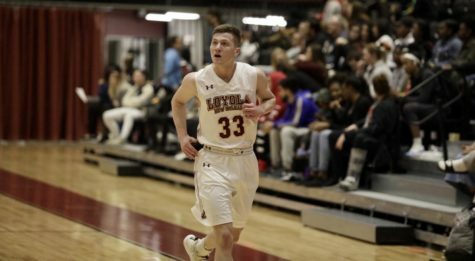 Loyola went on to trample Faulkner on Thursday night, 92-79, and looked to advance to the semifinals. However, it was the winning effort and the early starting times that left the Wolf Pack drained. “The Faulkner game on Thursday took a lot out of us. We were down early and spent a tremendous amount of energy coming back to win that game. 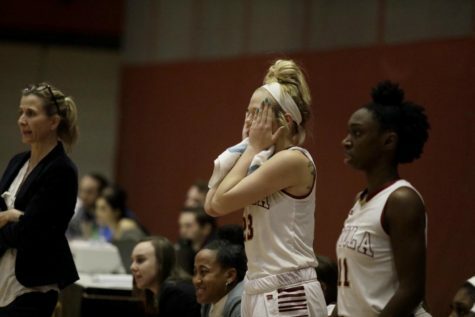 I could see pretty early on that we didn’t have much gas left in the tank when we played William Carey the next day,” Hollowell said. 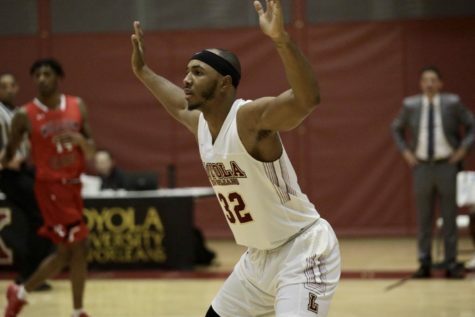 William Carey’s ability to out-rebound and force their way into the paint eventually brought down Loyola. 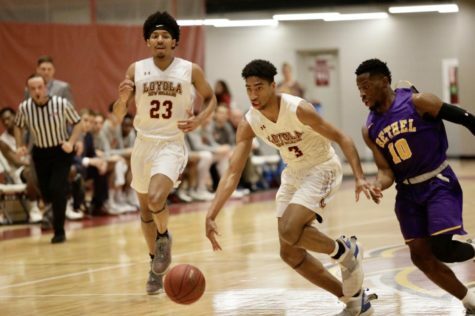 “I know our guys wish that we could have a couple of games back, but they should be proud of the work that they put in,” Hollowell said. Johnny Griffin Jr., business management senior and combo guard forward, shared his thoughts on the tournament and the team’s play. “Overall we played very hard and played for each other. 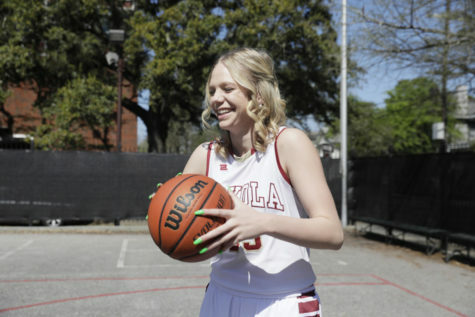 We defended well and played together as a team,” Griffin Jr. said. Griffin Jr. remained highly optimistic despite his team not reaching the championship game of the tournament. 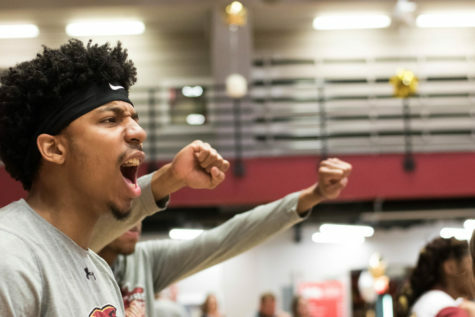 Jalen Gray, guard and business senior, also has similar feelings about the tournament. “Even though we came up short, I think we competed at a high level. The biggest part of our success was trusting in one another, that we all would do everything we could to win,” Gray said. Even with the tournament loss, there were still things the Wolf Pack was grateful for. Five players were recognized at the awards banquet on Thursday, among them being Griffin Jr. and Gray. Griffin Jr. was named the SSAC Defensive Player of the Year and 1st-Team All-Conference. He ranks first in the conference and third in the nation in rebounds and finishes in the top-40 in nine major statistical categories. 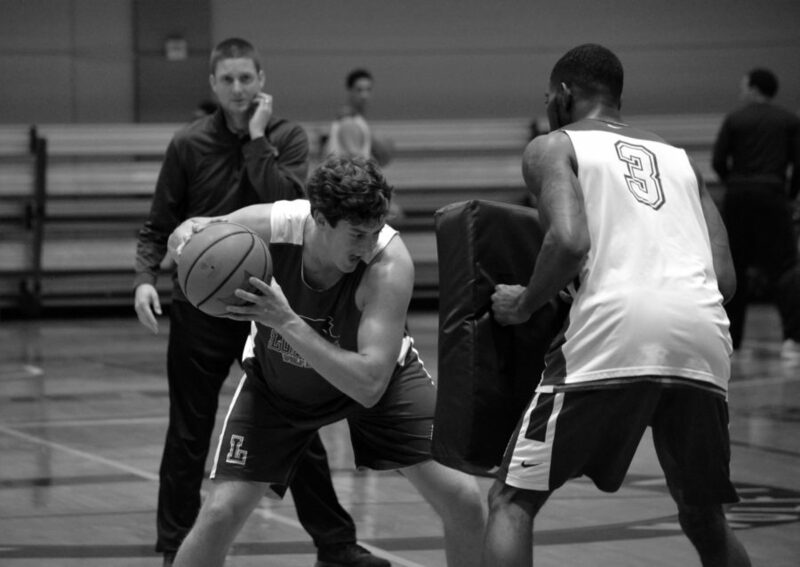 Gray was named 2nd All-Conference as well as the All-Academic team for his work in the class room. 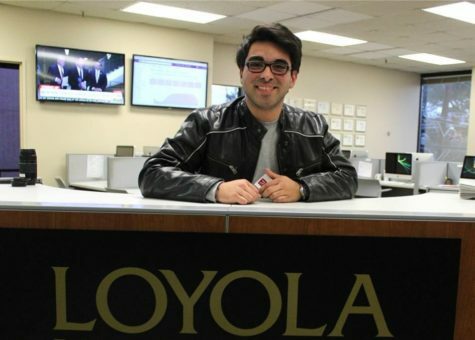 He is also a member of the 1000-career points club and is placed high in other statistical categories. 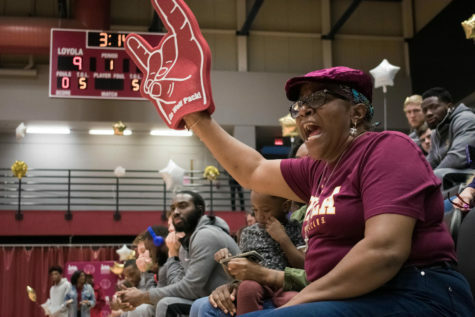 Although the conference tournament is over, Loyola recieved a berth to the National Association of Intercollegiate Athletics Championship on Wednesday night. The eight seed (22-9) Wolf Pack will take on the number one seed William Penn Statesman (30-3) on March 15 at 8:30 p.m. in Billings, Montana.